Even with the meter running and on the way out to celebrate his birthday dinner, Tyler Bozak has the time to talk about his two biggest role models. 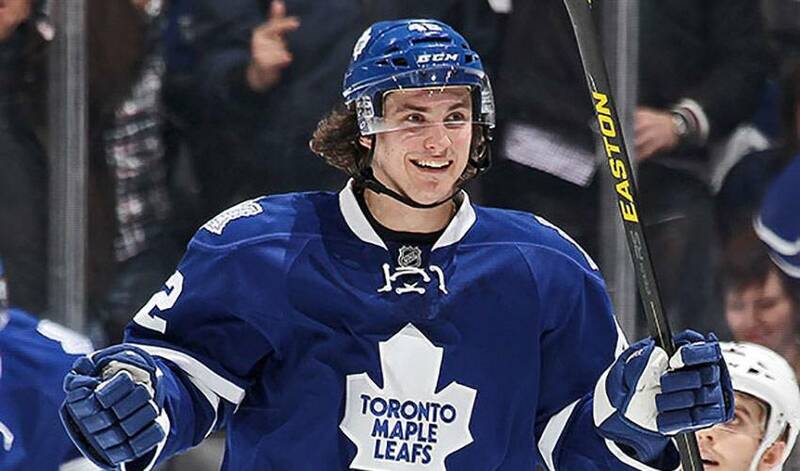 Sitting in the back seat of a Toronto taxicab, Bozak, who turned 27 on March 19, apologetically notes he has a busy night ahead of him, but is happy to chat before he arrives momentarily at a local restaurant. Early morning drives to practices, flooding the backyard rink well past midnight, or long car treks to minor tournaments – it was a true team effort when it came to the Bozaks and hockey. As for who was the better of the Bozak boys on the backyard ice, Tyler plays coy when it comes to his response. As his career progressed, Tyler, the Red Baron Western Collegiate Hockey Association (WCHA) Rookie of the Week four times, an All-WCHA third team an All-WCHA Rookie Team selection after his first campaign with the Pioneers, maintained his close relationship with his family. When he scored his first NHL goal, on January 14, 2010, they were in the stands. Bozak also never forgets to call home for some fatherly advice after a game. Well, at least most of the time. As for what father and son would speak about after the Rihanna concert, Bozak was thinking more in the short-term. It’s something Tyler Bozak is certainly accustomed to.